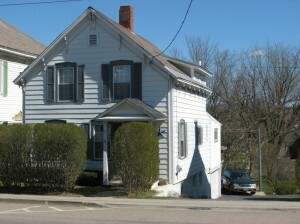 Here is one of Vergennes historic homes that has been cherished and cared for, for over one hundred years. Hardwood floors, classic side staircase, remodelled kitchen, new bath, 1st floor bedroom, glassed porch, new deck system, privacy hedge and best of all, walking distances to local stores,retaurants, bakery, schools & recreation. Come check out this charming Vergennes residence! You are in for a wonderful surprise!